HomeCinemaMasalaFinally Azfar and Naveen talked about their Marriage! Finally Azfar and Naveen talked about their Marriage! 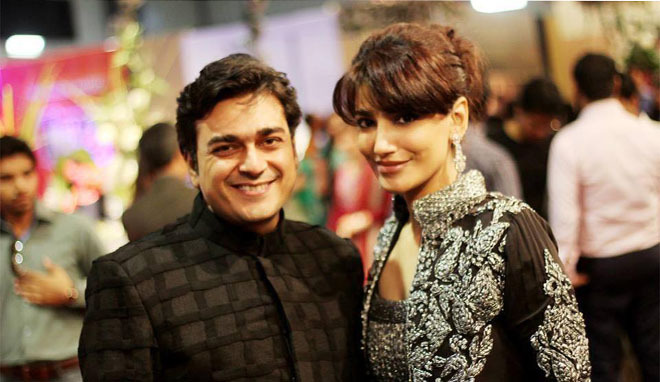 Naveen Waqar and Azfar Ali’s marriage was nothing short of a shock for people because of many reasons. Yes it is……. because both of them talk for the very first time about their marriage live on screen. Firstly because Azfar Ali left his wife of so many years to get married to the desirable Naveen Waqar. Secondly because Naveen had gained massive fame due to her negative role of a mean, crooked and all time selfish in blockbuster drama serial “Hamsafar. Also because no one knew about their affair before they broke the news of their marriage. Due to her negative role, many of the people started thinking her as she is the same in real life. Many people called Naveen a real life Sara. Moreover, most people were not happy with the wedding at all. Initially, both of them decided to hide their relationship from media and all but now they mutually decided to confront all what people have to say. Now, they are giving interviews and are also playing the lead in the upcoming sitcom Uff Meri Family. Naveen and Azfar are promoting the show to the max. 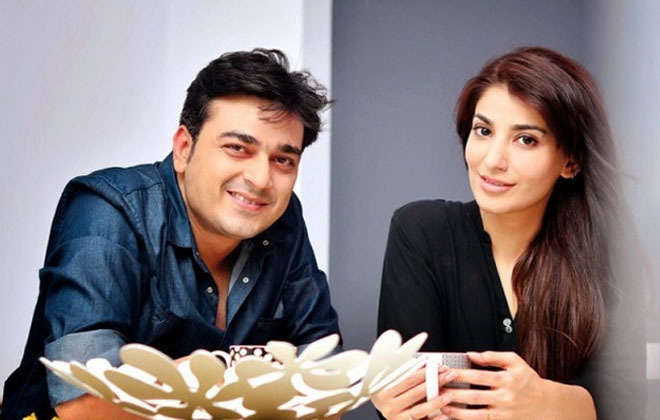 While giving interview to a local newspaper Naveen said, “Had it not been for Humsafar, my marriage wouldn’t have been such an issue.” Azfar on the other hand says that it is their business how they tackle with the complications resulting from their marriage. He said, “I can’t even call it right because there is a second woman and my daughter involved in it. I don’t want to explain to people how great I am with my daughter and how often I interact with Salma, moreover my ex wife is very supportive. That’s simply our headache.” Azfar is happy getting married to Naveen, you can’t make the world happy people have different view. “The beauty of it all is that having done the right thing makes you a wrong person or to make it clearer, having done something legal makes you immoral.” He further added.